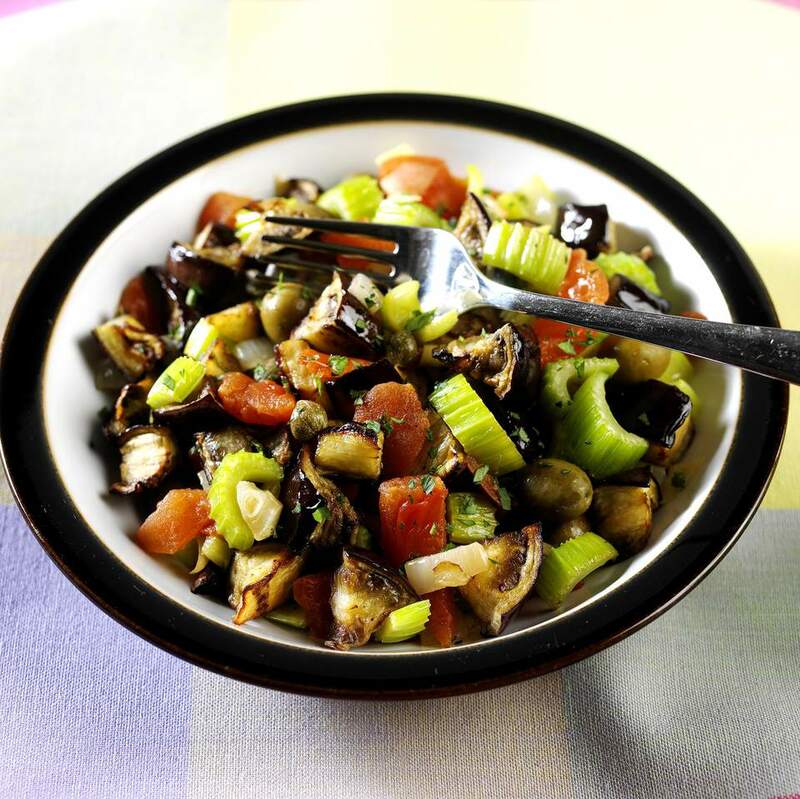 Caponata is basically a grilled vegetable salad. You can add any grilled meats with it if you choose or simply serve it up as is with a light oil and vinegar dressing. ﻿Preheat grill. Place onions on skewers and brush onions and eggplant with olive oil. On a hot grill, cook eggplant for 4-5 minutes and onions for 10-12 minutes. Remove from grill. Place a small amount of olive oil in a large saucepan or spray with cooking spray. Add celery and cook for 5 minutes. Add tomatoes, eggplant, onions, red wine vinegar, capers, raisins, olives, sugar and pepper. Blend well. Cook for 10 minutes over low heat and let cool. Cover and refrigerate overnight. Serve chilled or at room temperature. Serve on a bed of lettuce.